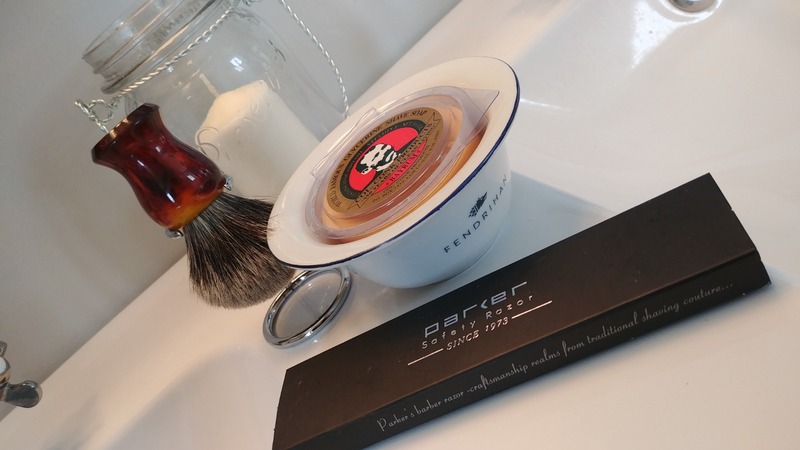 The Fendrihan Porcelain Shaving Bowl and Classic Pure Grey Badger Shaving Brush with Metal Stand Set takes your shave from ordinary to extraordinary. Featuring handsome lathering essentials, these pieces will give you a close shave, and will look great on your counter. 1.Fendrihan Classic Pure Grey Badger Shaving Brush. Improve the quality of your shave by adding the Fendrihan Pure Grey Badger Shaving Brush to your shaving routine. Pair it with your favorite shaving soap or shaving cream to whip up a good luscious lather. The badger bristles gently exfoliate to help revitalize skin and lift hair for a quality shave. 2.Fendrihan Shaving Brush Drip Stand. Extend the life of your shaving brush with this brass drip stand. Plated in lustrous chrome, the stand proudly displays your shaving brush and allows it to dry between uses. 3.Fendrihan Porcelain Shaving Bowl. European-made, this shaving bowl is made of quality porcelain and will hold your favourite shaving soap as you whip up a rich later. Available in five colours with a hand-painted rim. Products arrived in a very reliable and efficient manner, and the quality is exactly what I wanted and expected. Completely recommend that others visit your website and dabble in the products, and give them a chance!